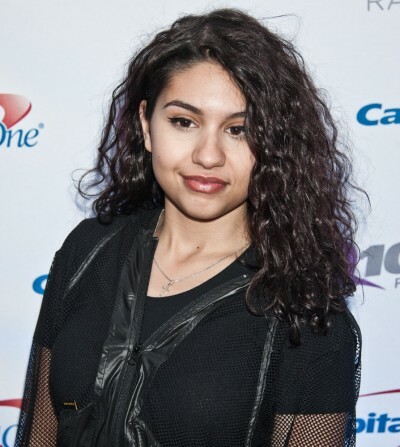 Alessia Cara is a Canadian singer and songwriter. Her parents, Enza (Ciccione) and Vincenzo Caracciolo, are both of Italian origin. She has three siblings, Dario, Danica, and Dante. Both my parents are Italian. My mom was born and raised in Italy. My dad was born in Canada, but then they moved to Italy. He moved back and forth, but he’s first generation Canadian because both of his parents were born and raised in Italy. My mom moved to Canada with my dad after they got married. I’m really in touch with my Italian roots. My mom’s whole side of the family is there…. [I spoke Italian] when I was younger, my mom didn’t speak English, so she always spoke to us in Italian. I had a weird accent when I was kid. I didn’t really know how to speak English because they’d always speak to me in Italian. I didn’t learn how to speak English without an Italian accent until kindergarten. A picture of Alessia’s father can be seen here. A picture of Alessia and her mother can be seen here. She said her family is from Calabria. She looks like a typical northern African (Algerian, Tunisian, Moroccan). Pure Italians don’t look like that. By that I guess Alessia’s just really exotic looking. Or she could have distant african ancestors. Anyone’s guess. She looks just like this HALF Jewish/half Western European descent girl, Jade Ramey. Everyone thought she was mixed but her 23andme DNA test revealed that she was 97 percent European/european Jewish, 1 percent middle eastern and 2 percent black/Africa which is pretty normal results (minus the half euro Jewish) for “white people”. I guess Alesia’s cara may Be one of those people.